How can I be a Writing Challenge guest judge? You may have noticed, at the end of every announcement of Writing Challenge winners and runners-up, that there’s a short paragraph thanking each of the judges. While many of the judges are the same from challenge to challenge, there’s also usually a note thanking a special guest judge. But who are these guest judges? How are they chosen? Winning a Writing Challenge comes with a fair number of perks: You not only get to choose the next challenge and request a snazzy winner’s banner, you can also serve as a judge for the next round. Because the previous round’s winner picks the next round’s theme, s/he won’t be able to enter a story, so acting as a guest judge for the round is an extra bonus: You not only get to pick the theme, you also get to judge how close to your vision the round’s writers interpreted it! However, guest judges aren’t made up solely of the winners of previous rounds. Starting in mid-2014, runners-up were also approached about being guest judges, though it wasn’t until the current round that any of them decided that they would like to do so. 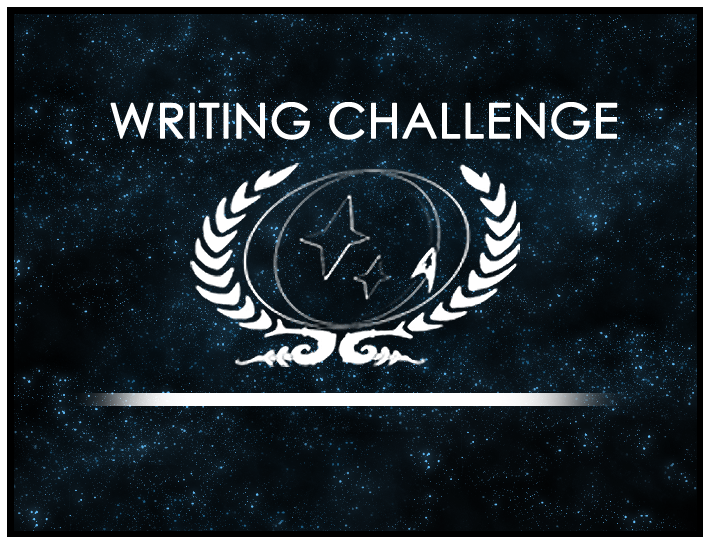 However, the result will be a great panel of judges for the November & December Writing Challenge: Not only the usual judges, but also the writers behind Ensigns Nathaniel Wilmer and Leland Bishop and Ambassador Della Vetri. It’ll be wonderful! Don’t forget, the November & December challenge, “Love & Betrayal,” is now open! Head over to the Writing Challenge forums to learn more and submit your own entry.